The Evans family, Father, son and wife. Picture from Lima, Ohio. They all look so much alike it’s almost scary! Based on some brief research, I believe this is likely Evan R. Evans who married Hattie Bussert (hence the nickname Buzzard) in Allen, Ohio in 1895. 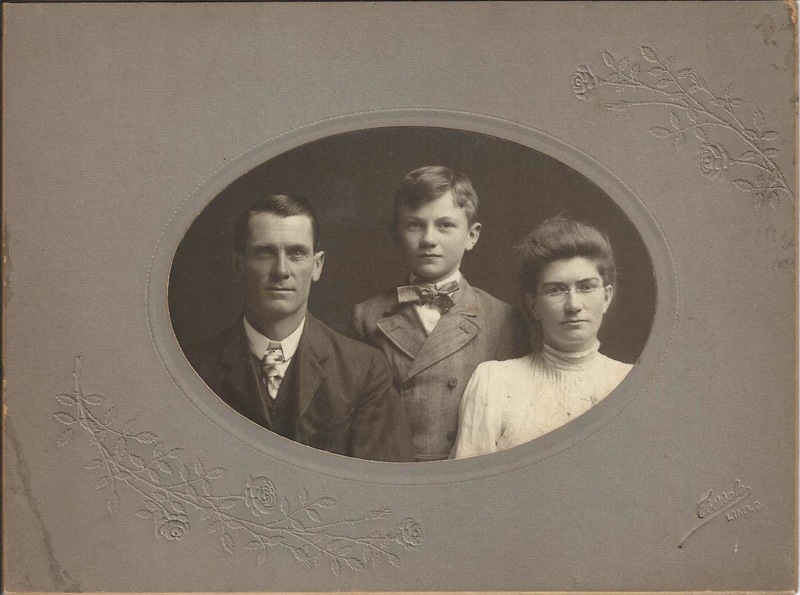 Their son is Guy W. Evans, born in 1898 also in Allen, Ohio. Interestingly, in the 1910 Allen, Ohio census, Guy Evans is living with his grandmother, Racheil Bussert (presumably Hattie’s mother).